If you are looking for the quintessential relaxed, laid-back fishing experience, then you are bound to— sooner or later— end up practising the freshwater variety! If you’ve done it, you know what I’m talking about: calm waters, dependable catch, easy to manage bait, low risks of injury or equipment damage… It’s basically a day-off Paradise. But what is it, exactly, that you can catch? Is there a type of fish you should be aiming for? The simple answer is that you don’t need to, not as long as you are having fun while practising the sport. Every fisherman has their own opinions and preferences, of course. However, there are some types of fish that are more special than others. Perhaps it’s the rarity, or the size, or the how difficult it was to catch them— the factors are endless. This is our top 5 list of the best freshwater fish from all over the world. No freshwater fishing goals list would be complete without, at least, one species of trout among its items! Many enthusiastic fishermen focus primarily on this type of fish: they are an exciting fish to go for and, as a general rule, quite tasty. What is it that makes cutthroat trout particularly sought after? This trout, recognisable by its orangey-red jaw stripe, is a particularly resistant creature that will fight you every step of the way. 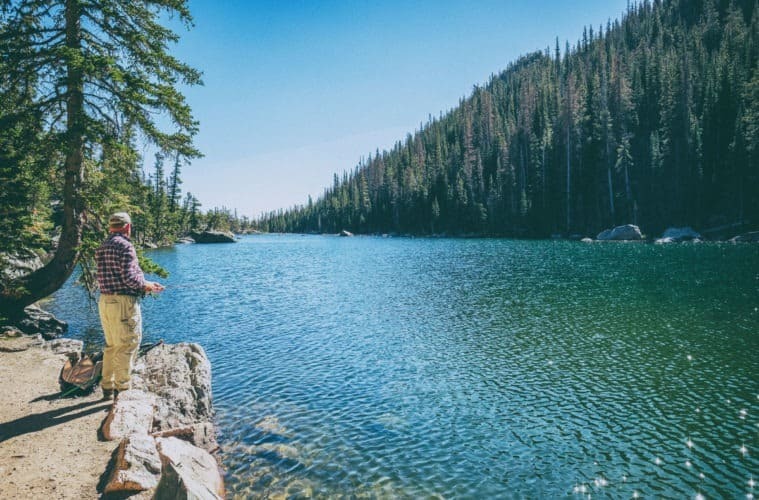 If you want to go find it, you should head towards the Rocky Mountains: you’ll discover Cutthroat trout in rivers and smaller streams from the Southern United States to as far North as Alaska. Don’t use bait, though— that’s usually not allowed, as the trout will then go straight to the hook. Instead, try your hand at fly-fishing: there are lots of techniques and types of equipment you can explore. It’s a world in and of itself! Bass is, arguably, the most popular type of freshwater fish to catch. And it’s not hard to see why: they are geographically widespread (being present in most American rivers) and, despite this, quite elusive! If you’re down on your luck, or if your game is off, you might go home empty handed after a long day. But the difficulty only makes bass fishing more alluring. Striped Bass, in particular, is famous for allowing many different fishing methods— you can try both surf casting and trolling, by day or by night, using an enormously wide variety of bait (crayfish, spoons, worms, you name it). I’ve heard anglers say that what makes fishing for striped bass so satisfyingly challenging is the puzzle— you have to figure out what works for the exact place, moment, and conditions and— perhaps more importantly— what the fish want. Want more motivation? The record weight for a striped bass catch is set at 37.14 kilograms. The next top mark could be yours! Is it a log? Is it a reptile? No! It’s the Alligator Gar— reel in the line, quick! If you are looking to reel in a prehistoric looking animal, look no further: this is your desired freshwater catch. There are remains of this species that date from a million years ago, so it’s called a “living fossil”. The Alligator Gar populates the rivers of the Southern United States (mainly Mississippi, but also Texas, Alabama, etc.) and terrorises inattentive bystanders with its alligator-looking, name-giving snout. Not indeed a reptile, this fish is no less imposing because of it: up to 3 meters in length and 150 kilograms in weight, it can be quite fun to mess with! If you want to try wrestling this creature’s muscle power (passed down generations for a million years) and extremely sharp teeth, make sure your equipment is in tip-top shape. Careful, though, as they’ve been known to bite arms! Also known as Muskellunge, the Muskie is one of the most popular catches among freshwater fishermen. And it’s no wonder! This species is more of a cold water thing: you can find it roaming the clear lakes and large rivers of Canada and the Northern United States. It is, however, on the less familiar side of the popular freshwater species. What about it, besides its relative scarcity, makes it attractive to anglers? Well, for starters, it can weigh up to 32 kilograms (70 pounds)! But the main attraction is in the behaviour of the fish: its aggression and temperamental fight pose a challenge that no avid angler can refuse! Note: unless you just caught a muskie in an area it’s not native to, it’s usually recommended that you release it back into the water. This is to encourage reproduction and make sure there are lots of muskies to catch for years to come! Besides, it really doesn’t taste excellent. Who doesn’t want that perfect combination of taste, puzzling complexity, and a good fight in a freshwater fish? Well, some say the exact balance is achieved in the Chinook Salmon, also known as King Salmon. The Chinook Salmon dwells in lakes and rivers of Alaska and all down the West Coast of North America. It’s one of the most popular freshwater fish species ever: the total number of Chinook Salmon captured in the wild in 2010 was 1.4 million! Why so beloved? Fishing for it is enjoyable: you need to figure out the fish’s taste (some experts recommend using specific colours such as green or blue) and make sure you outdo its quick manoeuvres. And— also a crucial factor— size: an individual Chinook Salmon can reputedly weigh up to 59 kilograms of pure awesomeness. No matter whether you want to fish in rivers, streams, or lakes in tropical or Arctic areas— there will always be an exciting fish species to set your sights on. So grab your trusty equipment, make a to-catch list, and get going! With enough patience and dedication, you might just nab one of our five top freshwater fish species— make sure to tell the tale!